EXL, being one of the leading operations management and analytics company that helps business enhance growth and profitability, makes it a favourite place for professionals to be a part of its analytics team. With products like EXLerator Framework™ that integrates analytics, automation, benchmarking, BPO, consulting, industry best practices and technology platforms, EXL works extensively to help companies improve global operations, enhance data-driven insights, increase customer satisfaction, and manage risk and compliance. Headquartered in New York and a global presence in various countries, including in Bangalore, India, this 1999 founded company serves various sectors including insurance, healthcare, banking, logistics, travels, among others. It has approximately 25,000 professionals in locations such as USA, Europe, Latin America, Australia, South Africa and Asia (primarily India and Philippines). Trying to get an insight on its analytics hiring, Analytics India Magazine interacted with Ankor Rai, Senior VP and Global Co-Head at EXL Analytics, who, describing the work culture at EXL, began with saying that at EXL they believe that there is always a better way of doing things. “We look deeper to gain rich insights on any issue and that helps us find the ideal solution and it’s this trait of ours that makes us a leader in our field”, he said. 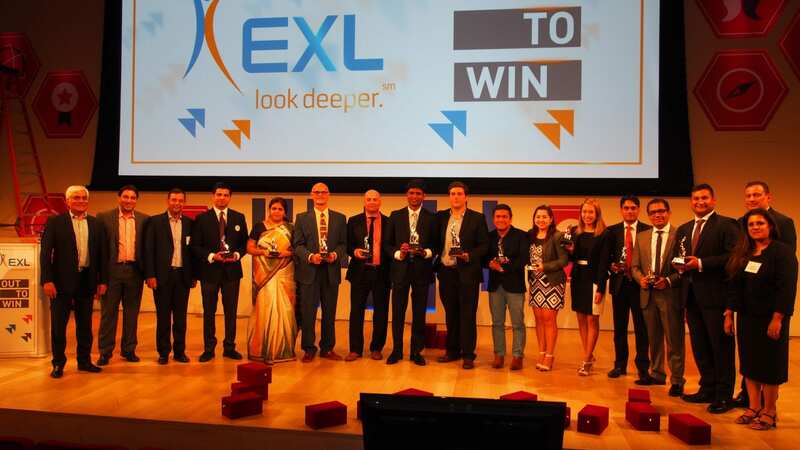 EXL team encourages innovative thinking and learn from their differences and diverse thoughts. Believing that the huge and diverse pool of talent from different geographies is core to their success, they offer their employees a seamless path to career growth and have built an environment that encourages ownership and is conducive to openness of thought and proactivity. “In analytics, we need a wide range of technical skills and the broad set of technical skills for a role by the job family”, said Rai. He further explained that, for instance, the role of data scientist combines business analysis, programming and statistical skills, all rolled into one. Further, if the job content for this role is skewed towards one of these skills, that skill becomes the ‘critical or a must have’ skill, while others would be ‘good to have’ skills. “At the entry level data interpretation and numeric ability is key, but as we go up, domain knowledge and experience becomes equally critical. Moreover, communication skills and intellectual curiosity are requisites across all levels”, he added. When asked if the hiring process for fresher differ from that of experienced candidate, Rai said that for fresher entering the industry, the focus is more on their educational background, aptitude (numerical ability, data interpretation skills, basic coding etc.) and communication skills. “We hire fresher mainly through campus recruitment by conducting our own aptitude test”, said Rai. It is the performance of potential candidates in this test, that becomes the basis for shortlisting candidates. Additionally, group discussions are leveraged as a filtering exercise in case of sorting out from large number of applicants. Whereas for experienced hiring, they mainly scrutinize the resumes on the basis of the skills and experience required in the job description, followed by interview rounds. “We do leverage aptitude test when deemed necessary”, he added. How to prepare for an interview at EXL? Once a candidate establishes that he/she is the right fit as per the job description, they are suggested to focus more on reading up about data analytics industry in general along with EXL website (such as the typical service offerings and case examples within the various industry verticals they function in). “The candidate should gain complete clarity on how his/her skills can be an asset to the team and business unit”, he remarked. Rai further explained that apart from the mandatory educational background and experience, what helps differentiate a candidate from others is one’s level of awareness around the methodologies and developments in the domain of data analytics. “Having a point of view on one’s area of interest or domain that makes the candidate eligible for the said opportunity at EXL is an added advantage”, he noted. Other must have traits in a candidate are communication skills and intellectual curiosity, that are central to all roles. “Also critical is one’s ability to learn and grow, and have flexibility to take on any task in the data analytics value chain, right from data crunching to advising clients. We believe that no work is small or less significant”, Rai added. Aptitude – Numerical ability & data interpretation skills. Communication skills – written, verbal, interpersonal skills. Attitude – Intellectual curiosity, flexibility & openness, willingness to learn. “As such, one’s ability to clean data is as critical as designing the model output or creating business strategies for clients”, he said in the concluding note.